University of Pennsylvania Press, 9780812245530, 224pp. Workers in the United States are losing sleep. In the global economy a growing number of employees hold jobs--often more than one at once--with unpredictable hours. Even before the rise of the twenty-four-hour workplace, the relationship between sleep and industry was problematic: sleep is frequently cast as an enemy or a weakness, while constant productivity and flexibility are glorified at the expense of health and safety. 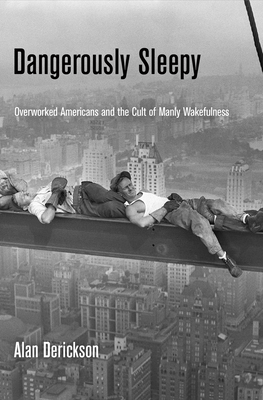 Dangerously Sleepy is the first book to track the longtime association of overwork and sleep deprivation from the nineteenth century to the present. Health and labor historian Alan Derickson charts the cultural and political forces behind the overvaluation--and masculinization--of wakefulness in the United States. Since the nineteenth century, men at all levels of society have toiled around the clock by necessity: steel workers coped with rotating shifts, Pullman porters grappled with ever-changing timetables and unrelenting on-call status, and long-haul truckers dealt with chaotic life on the road. But the dangerous realities of exhaustion were minimized and even glamorized when the entrepreneurial drive of public figures such as Thomas Edison and Donald Trump encouraged American men to deny biological need in the name of success. For workers, resisting sleep became a challenge of masculine strength. This lucid history of the wakeful work ethic suggests that for millions of American men and women, untenable work schedules have been the main factor leading to sleep loss, newer ailments such as shift work sleep disorder, and related morbidity and mortality. Dangerously Sleepy places these public health problems in historical context. Alan Derickson is Professor of Labor Studies and History at Pennsylvania State University and author of Health Security for All: Dreams of Universal Health Care in America, Black Lung: Anatomy of a Public Health Disaster, and Workers' Health, Workers' Democracy: The Western Miners' Struggle, 1891-1925.